After four years as artistic director of Theory, Olivier Theyskens is leaving his post to pursue other design opportunities. His last collection for the label will be Pre-Spring 2015. Theyskens originally signed on to design the Theyskens' Theory capsule collection, which bowed Fall 2011. By the next season, Olivier had taken on the womens, accessories and mens collections. "Everything has a life cycle. Olivier has done great work at Theory, and I believe his appointment at the company and his creativity within the studio enhanced the brand and added a new dimension and new possibilities to the market segment," Theory CEO Andrew Rosen told WWD. "With Olivier we saw that elevated design has a place in the contemporary universe." For now, the Theory design team will take control of the house in Theyskens' absence. "It has been an amazing opportunity to work with Andrew and to benefit from his knowledge in this dynamic segment of fashion," Theyskens said. "I will always cherish our friendship." 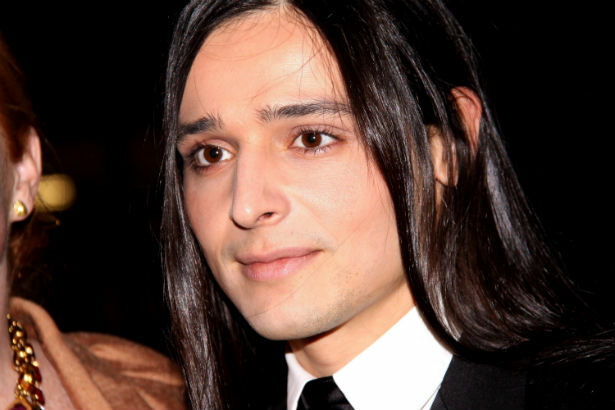 While it's sad to hear that he's leaving Theory, we can't wait to see what Theyskens has planned for the future.